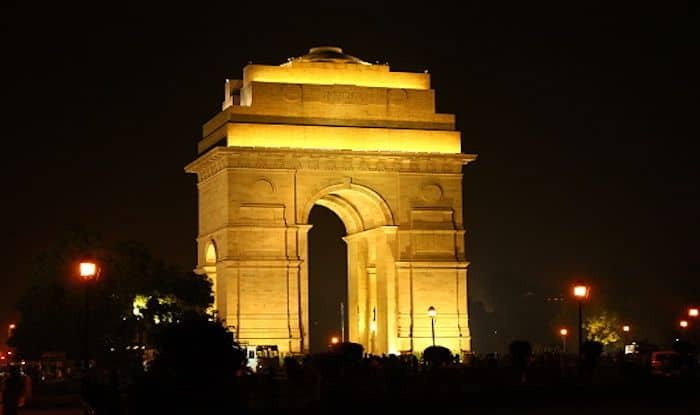 India's Capital - Delhi, is Best Explored When You Don't Rush Through it And Savour Every Moment. Delhi, India’s capital, is literally an assault to the senses. But in a good way. It’s a bizarre and eclectic mix of the old and the new. The ancient and modern have intertwined here in a such a way that you cannot imagine the city in any other way. Although two days aren’t exactly enough to explore the plethora of experiences the city has to offer, you can be strategic about it – just like the city’s past rulers – and go with the plan of divide and conquer. You could start your first day in Delhi by taking a refreshing morning walk at the Lodhi Gardens. It’s quite a favourite of Delhi’s local residents; and for good reason. It’s spectacular with lush greenery all around, sprinkled with a number of 15th – 16th century monuments that are no less than architectural marvels. For a quick breakfast, head to the All American Diner at the India Habitat Center, right opposite Lodhi Gardens. From waffles to sausages, you’ll be spoilt for choice and how. You could burn off those extra calories by taking a walk through another architectural gem very close by – Humayun’s Tomb. Built by the wife of the Mughal emperor Humayun, its design is said to have inspired the more prominent Taj Mahal in Agra. Another attraction right in the vicinity is the Nizamuddin Dargah, mausoleum of famous 14th-century Sufi saint Hazrat Nizamuddin Auliya. Once you’ve paid your respects, you could check out the Anokhi Discounts Store that is famous for it’s gorgeous block-printed cotton fabrics at unbelievable prices. To spend a relaxing evening with good food and drinks and an ambiance to die for, head to Hauz Khas Village. Make sure you wander through its atmospheric narrow lanes, admiring its colourful street art, and stopping by boutiques and art galleries of interest, before you settle for some coffee. Kunzum Travel Cafe is highly recommended for coffee and cookies, and for dinner and drinks, you could choose from the plethora of options tucked away at every nook and cranny in Hauz Khas. Begin your second morning in Delhi by heading straight to Chandni Chowk in Old Delhi. It’s important to note that shops in Chandni Chowk are closed on Sundays, and some monuments are closed on Mondays. So try and make it on any other day for maximum fun. Start by exploring the gigantic sandstone 17th-century Red Fort at the end of Chandni Chowk that served as the residence of Mughal rulers for nearly 200 years, until 1857. Hop across the street to Jama Masjid – India’s largest mosque. The place is always teeming with life; and you’e got to experience it to know what makes it so special. It’s highly recommended that you climb the narrow staircase of its minaret tower for a captivating view over the city. Once sight-seeing is out of the way, use the better part of the day for exploring the narrow by-lanes of Chandni Chowk. From Sis Ganj Gurudwara to Golden Mosque; and Kinari Bazaar, which specialises in everything for weddings to Khari Baoli Road – the biggest wholesale spice market in Asia, it’s is a delightful experience. There’s chaats, parathas, chicken tikkas and faloodas here that you will never find anywhere else in the country. Remember to walk around and sample everything that you see others trying. There’s a reason why people eat heartily at Chandni Chowk. It’s made with a whole lot of love.